Where should I start…where can I start? It’s been exactly one week since TAM Airlines landed in Deputado Luís Eduardo Magalhães International Airport in Salvador , and a Sierra Leonean girl already “studying abroad” in the US, stepped off the plane for study abroad in Brazil. I received a warm welcome, well I should say a wet welcome, when I first landed in Brasilia and it rained immediately. I knew this was sign ,because I’m a rain child-I’m sure of that.On the plane to Salvador, an elderly woman and her friend tried to make conversation with me, even when I let her know that I didn’t speak any Portuguese. And I think that was the first thing that struck me, how open everyone seemed. There is not really a sense of personal space (from what I’ve observed, it might be different in other parts of Brazil),and people have no problem sitting or standing right next to you, even if they have no intention of starting up a conversation .It felt awkward at first-it still feels awkward -because my host mum came into my room today to watch a TV show as I was doing homework on the bed, and she sat right next to me, and I’ve only known her for four days, and my host brother randomly mopped sweat off my face, the very next day after I met him(which was very sweet…) But I’m starting to find it somewhat comforting, to know that strangers are not aloof and are very accessible and friendly. Because I have moved a lot, I have a very unsettled sense of home. 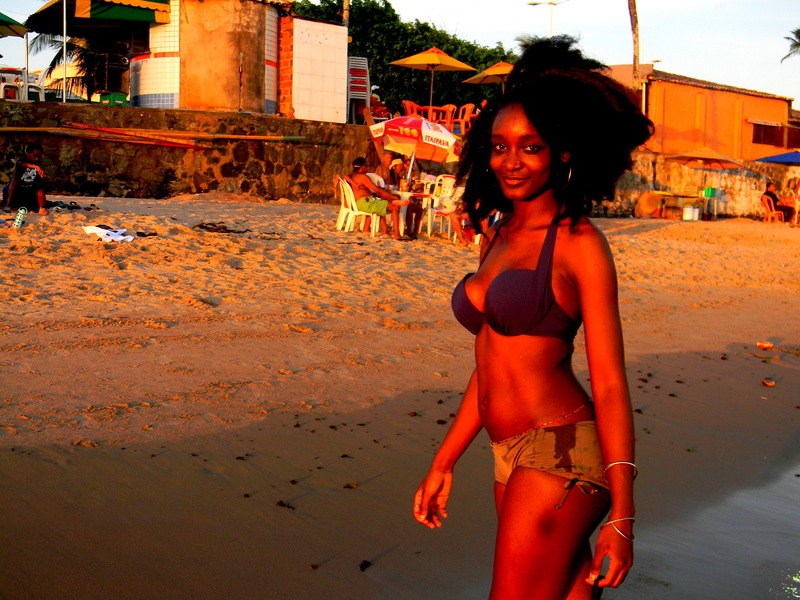 I do have a visual perception of home-Sierra Leone. Whenever I see the ocean, palm trees, sand, garbage on the streets, and markets…I immediately connect that to Sierra Leone. However, “home” for me is never constant-I never allow it to be constant because I can’t stand being in one place for long, so I never physically associate one place as my permanent home. So far, I have picked up so many things that speak of home to me in Salvador-the food is a major one. I almost wept for joy when I discovered how popular palm oil ,cassava and garri were.I hadn’t realized how much I missed food from Sierra Leone till I saw it here, I guess that’s why I’m eating so much. 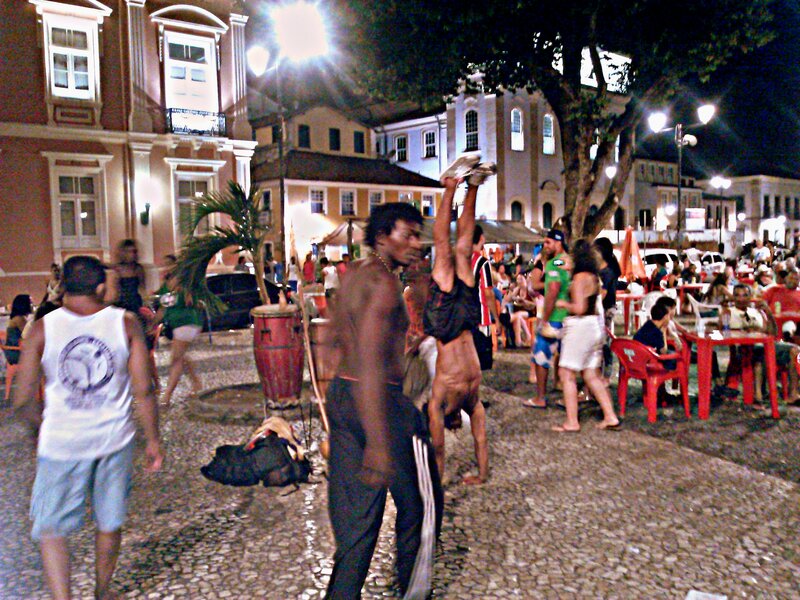 Another aspect of connecting to the idea of “home” is Afro-Brazilian culture, which I can’t speak much of since I’ve only been here for a week,and I’m trying not to exotify what I don’t know much about. But I swear, the mannerisms are extremely similar if not exactly the same as most Sierra Leoneans. My host mum is Afro-Brazilian and very expressive, whenever she speaks, I can just picture her being in the streets of Freetown. During Orientation, we went to see a show by Fundação Balé Folclórico da Bahia, an Afro Brazilian dance group, and it was so beautiful, I had tears in my eyes. 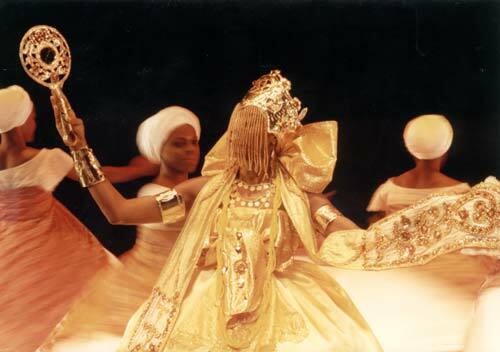 The show was a mixture of Afro-Brazilian dances, such as capoeira, and a display of the “Orixas” or gods and goddesses of Afro-Brazilian culture. I’m still finding the words to describe it, but one thing was for sure-there was an indication of a very strong perception of “West Africa” and “Africanness” in terms of cultural connection.I’ll comment more on this in a more specific post. Every day is a new adventure for me-learning Portuguese so I can communicate with my host family who do not speak ANY English (it’s been so interesting that it’s funny! ),taking the bus by myself for the first time today , trying out restaurants during lunch break, and just soaking up the sights and sounds of everything around me. So far…I do feel a powerful sense of home.